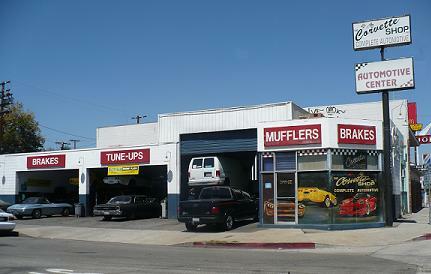 Corvette Shop Inc. is the San Fernando Valley's complete automotive repair specialists. All makes and models! Oil Changes, Tune-Ups, Body Work, Collision Repair, High Performance, Transmissions, Motor Rebuilds, Complete Exhaust Systems, Diagnostic Scanning, Antique and Classic, Complete Restorations and More! Corvette Shop Inc. is family owned automotive repair shop that has been owned and operated since 1987 focusing on Vette repair and general automotive repair in the San Fernando Valley. This is your one stop automotive repair and restoration shop! Our range or services include all forms of automotive repair for all makes and models! Whether your car is in need of a new motor, a new transmission, diagnostic services or even some body repair. Corvette Shop prides itself on being the one stop shop for car repair. We make sure that we do the job right the first time, in a timely manner all while keeping your budget in mind! With our wide selection of car repair services you simply can't find a better vette repair shop!